A fireplace is so much more than a place that provides warmth. It’s also a decorative centerpiece within your home. It’s important for you to consider how to upgrade the look of your fireplace. A decorative fire screen may be just what you need. There are all sorts of designs that can be created within the metal gate design. It allows you to bring in some of the themes that you have going on within the rest of your home, whether it is celestial, nature-inspired, or something else. 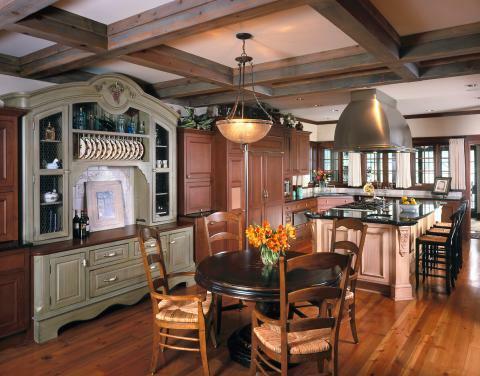 You may also want to explore existing designs as a form of inspiration when choosing something for your own home. Fire screens can be made from a variety of materials, including cold rolled steel, corten steel or stainless steel. These are durable materials that will not only stand the test of time but also look great within your home. It can be just what you need for your fireplace area to “pop” when guests come over. Once you decide on what your decorative fire screen is going to look like, be sure that you have it custom fit. This way, it will fit perfectly in front of your fireplace. They can also swing open or slide across, allowing you to access the fireplace whenever you want to start a fire.